Should Certain Los Angeles DUI Offenders Be Punished Much More Harshly Than Others? Are all Los Angeles DUI offenders equal? Obviously, the simple answer is no. For instance, let’s say you just got pulled over at a checkpoint. A police officer gave you both breathalyzer and field sobriety tests. You failed both. Now, you face a misdemeanor charge of violating California Vehicle Code Section 23152. • If you were egregiously over the legal limit. But are these classifications “fine grained” enough? More to the point: might there be certain classes of offenders who should be punished far more harshly than “standard” Los Angeles DUI offenders? For instance – and we’ve all seen drivers like this – but let’s say you see a 19-year-old kid in a hot rod car speeding while likely DUI on the 405. He cuts across 4 lanes of traffic and nearly causes four wrecks before police pull him over. He behaves extremely aggressively/recklessly/obnoxiously. In an ideal world, perhaps the 19-year-old should lose his license for ten years and be forced to write handwritten apologies to everyone he almost killed. 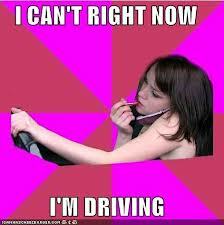 We’ve all had those thoughts – even people who defend DUI drivers for a living! The question is: is there scientific merit to such thinking? Are superb obnoxious drivers, for instance, more likely to get into injury crashes? If we could catalogue drivers in a more fine grained way, could we come up with more appropriate punishments for certain crimes? Even if we COULD slice and dice the galaxy of offenders like that, would we really want to? Practically speaking, this strategy would open up a whole raft of moral and legal questions. The problem is inherently complicated and messy – and that’s the point of this thought exercise. Dealing with DUI is an inherently messy exercise. The law cannot foresee every situation, nor spell out every contingency plan. And that’s why it’s so important for a defendant to work with a seasoned Los Angeles DUI lawyer. You need to stay on track and avoid getting confused or misled. If you haven’t already retained an attorney, call Michael Kraut of the Kraut Law Group today to explore your defense options. Mr. Kraut is a seasoned former prosecutor; he can help you come to terms with your charges and get excellent results.